Remember when you were little, and all you wanted as to dig up dinosaur bones for a living? Then Jurassic Park came out, and you really, really wanted to dig up dinosaur bones for a living? Maybe you're even one of the lucky ones who managed to actually turn that into a career. 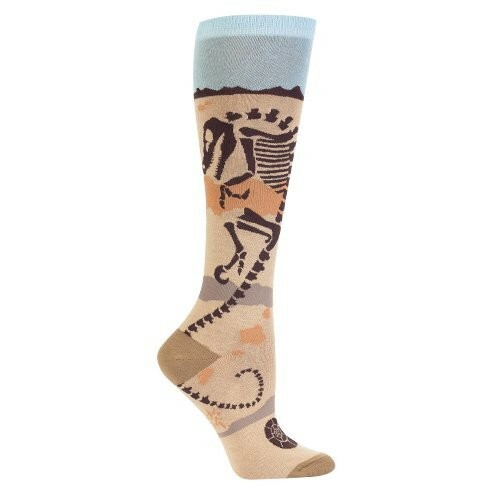 Either way, you have to go love these socks, featuring the exciting image of ancient fossils resting just below the surface, waiting to be exhumed! These great socks from Sock It To Me are 75% cotton, 20% polyester, 5% spandex, and fit women's shoe sizes 5 - 10.